Effort underscores partnership between Pathfinder Club and volunteer organization. 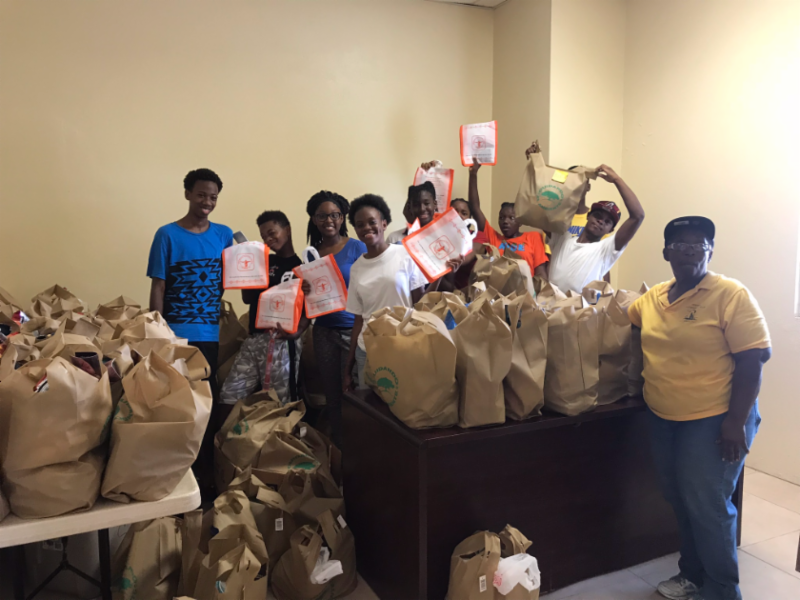 Dozens of Seventh-day Adventist young people who are members of the Pathfinders Club from the Central Seventh-day Adventist Church in St. Croix, United States Virgin Islands (USVI) volunteered their time to prepare care packages for the community. Their effort reached its peak during Thanksgiving weekend, which is celebrated in the United States near the end of November every year. 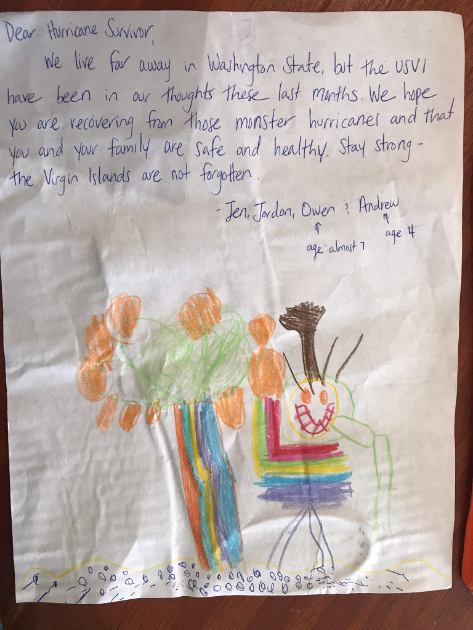 Leaders and pathfinder volunteers gladly assembled gifts and personal notes that were shipped from the Adopt a Family, USVI, a volunteer organization which responded to wish lists posted by families impacted by the hurricanes which swept across the United States Virgin Islands in September 2017. The gift packages were distributed in the community on Nov. 25. The founders of the volunteer organization, Pam Engle and Sabrina Jureidini, first met online in the aftermath of the destruction. Pam Engle had worked as head of fundraising at a school in St. Thomas, USVI, but lost her job and her home as a result of the hurricanes. She has since moved, with her young children, to Philadelphia, in the U.S. state of Pennsylvania. Jureidini and her husband, who also have children, lived on St. Thomas, USVI, until 2014 and now live in in the US state of Virginia. With a staff of 14 volunteers, the organization coordinates the collection and shipping of items selected from posted wish lists, including canned goods, personal items, toiletries and infant supplies. “We are amazed by the generous response of ‘adopters,’” said Engle. Many young people at the Central Adventist Church Pathfinder Club were eager to participate in the care-package preparation. “I have to go and help pack for those [left] in need [by] the hurricane,” said Pathfinder Royann-Blossom. Pathfinder Mariska Beresford identified with individuals who have been affected by the hurricanes. “They are people like you and me,” said Mariska. Club leaders are already planning for the Pathfinders who participated to record their thanks, so “Adopt A Family, USVI” can share the responses with “adopter” families. The Central SDA Church is one of eight congregations on St. Croix. It is the largest congregation in the North Caribbean Conference with a membership of 1,779. The church has an active youth ministry, and the Pathfinder Club caters to 45 youth, from age 10 to 15. A Friendly Reminder: Jesus Is Coming Again!